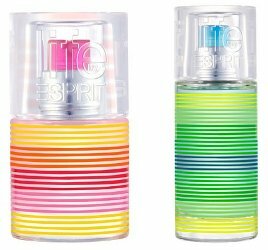 Esprit will launch Life by Esprit Summer Edition, a new duo of flankers to 2003's Esprit Life, in February. You can see last year's Life by Esprit Summer Edition here. Life by Esprit Summer Edition Man ~ developed by perfumer Philippe Bousseton, with mint, aquatic notes, grapefruit, bergamot, mandarin, kiwi, cardamom, eucalyptus, lavender, allspice, pineapple, nutmeg, white floral notes, teak, sandalwood, amber, musk, vetiver and tonka bean. In 30 ml Eau de Toilette.